SEQUOIA NATIONAL PARK – An opportunity to observe the national park as a snowy forest wonderland awaits those willing to bear the cold. 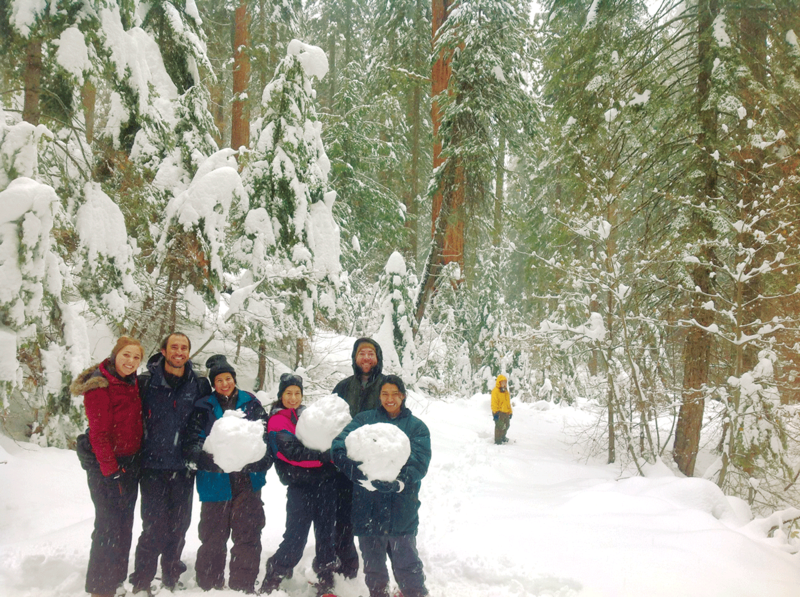 The Sequoia Parks Conservancy (SPC) is offering a selection of guided snowshoe tours along various trails in the park each weekend through Feb. 18. The Winter Wonders Tours are currently starting out of two trail heads, the John Muir Lodge and the Lodgepole Market. The tours are offered on Saturday and Sunday and are free with park entry. There is a maximum of 20 participants per hike and is on a first-come first-served basis. Participants should be at the meeting locations no later than noon to go on the approximately one-mile round-trip hike. The hike is scheduled to take two hours, but may vary based on experience and the physical fitness level of those participating. All children must also be accompanied by an adult chaperon. These hikes run through Monday, Feb. 18. Snowshoes are not provided, but can be rented at the Lodgepole Market and Grant Grove Gift Shop. If conditions do not allow snowshoeing, participants will hike the trail instead. The experience of walking on snowshoes is almost as unique as the scenery. If the snow has been packed down it is a much easier hike, but if a storm just dropped some fresh powder, the difficulty of walking is increased. The larger surface area of the snowshoe allows for better weight distribution which helps keep the hiker upright. Matias says it resembles walking on sand. Overall, the hikes are family-friendly and suitable for all skill levels. There will be plenty of opportunities to sharpen or begin to developed winter recreation skills while learning something new. Before each hike, a tutorial is provided on how to walk. “We will teach you everything you need to know about snowshoeing through the park,” Matias said. The snowy conditions mean that chains are required from late fall to early spring inside the park. Matias urges anyone who is thinking about trying the hikes to call the park for road conditions before heading up. On the valley floor, it can be sunny, but up in the park, weather conditions can change rapidly. “It is important to know the conditions anytime you are heading into the park,” Matias said. Hikers should dress as warmly as possible in layers. The most important article a hiker wears is shoes. A solid waterproof shoe with good tread is preferred. “Once you start moving around you will warm up quickly,” Matias said. The hikes have had around 15 participants since Matias started working the tours, so she advises interested hikers to sign up quickly. Despite the almost sellout crowds, it amazes her how many people have not seen the park at all, let alone in the winter. More activities and more information can be found on the conservancy’s web site www.sequoiaparksconservancy.org. Potential hikers can also call SPC’s field office at 559-565-3341. “It is so unique to walk on top of the snow,” Matias said.